MANCHESTER, Sporting Alert — Manchester United could not have wished for a better start to the new Premier League campaign after Romelu Lukaku scored a brace on debut to lead the home side to a 4-0 win over West Ham at Old Trafford in the season opener for both teams on Sunday. Anthony Martial climbed off the bench to net a third and Paul Pogba round off the scoring for Jose Mourinho’s side, which collected two assists from playmaker Henrikh Mkhitaryan. Lukaku got the Red Devils off and running in the 33rd minute when he blasted home off the post, following a brilliantly weighted pass from Rashford. Nemanja Matic was also instrumental in the build up of the goal after the Serbian broke up a play inside his own half and the deflection off his close down sent Rashford on his way down the left-hand side. Lukaku, nicknamed the “Belgian Beast,” doubled the lead for Manchester United in the 52nd minute when he headed home a Mkhitaryan cross from a free-kick. Mkhitaryan then setup Martial for his second assist of the game. Matic linked up with Mkhitaryan before the Armenian found Martial, who beat Joe Hart three-minutes from time. Pogba round things off in the 90th minute, curling home beyond Hart again from 20 yards. 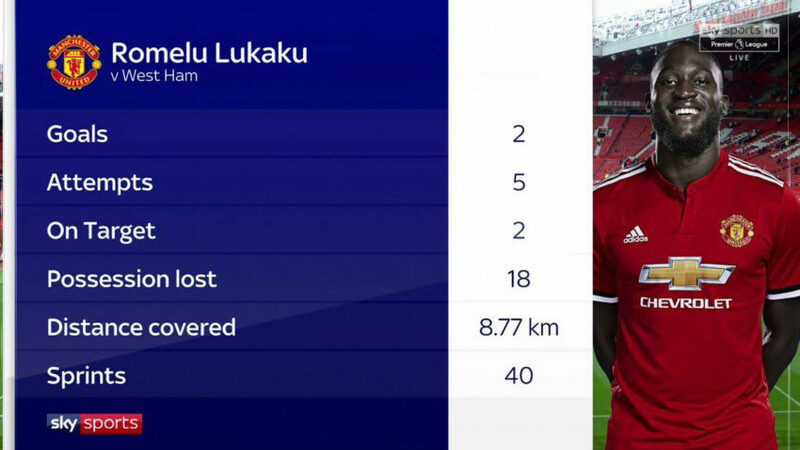 “To play in front of such a crowd is a dream come true but most importantly is the three points,” Lukaku told Sky Sports. “When you play for Manchester United, you have a job to do and mine is to score goals. It is promising. “The manager wants me to be a leader for the team and create as much as I can. We work hard in training and it is paying off. Manchester United boss Mourinho told Sky Sports: “The game was difficult, it was open at 2-0 and they had a chance to score. It was not a 4-0 game. When you relax, you play with confidence.